Move over Malcolm, there's a new middle child stepping into the spotlight! 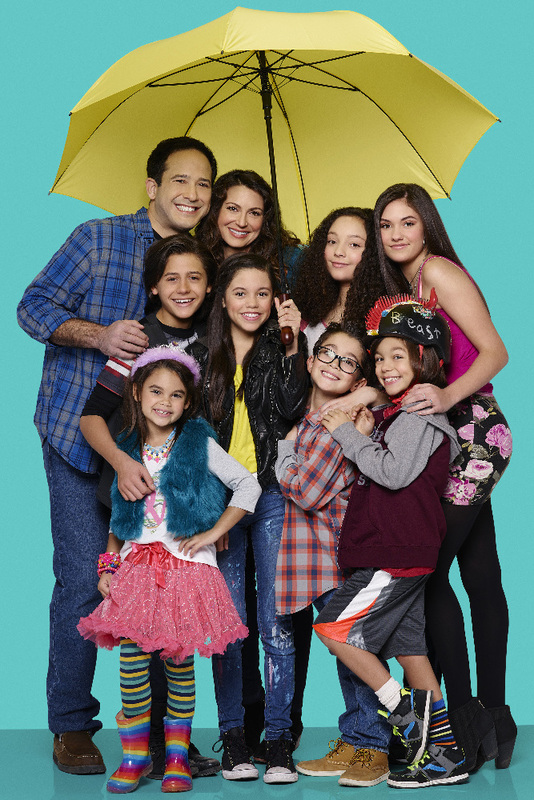 Disney Channel's newest series, Stuck in the Middle follows the life of Harley Diaz (Jenna Ortega, who plays young Jane on Jane The Virgin) as she deals with growing up in a nine-person family in suburban Massachusetts, while also figuring out how to stand out from her seven siblings. Below, check out more first look photos of Harley and the rest of the Diaz household, including parents Suzy and Tom, big sis Rachel, basketball-playing Georgie, twins Lewie and "Beast," baby of the family Daphne and Harley's closest ally, Ethan. The show was created by Dog With A Blog writer Alison Brown, with Last Man Standing's Linda Videtti Figueiredo serving as executive producer. Stuck in The Middle will air on Sunday, Feb. 14 at 8:45/7:45c on Disney Channel. It will also be available on the WATCH Disney Channel app and site, before premiering in its regular time slot on Friday, March 11 at 9/8c.